Maybe you’re tired of reading the same book with your child over and over again. Maybe your time budget won’t allow for a trip to the local public library or your finances need to be focused on priorities other than books right now. 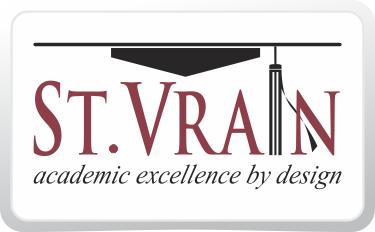 Whatever the reason inspiring your search for ways to get new books into your children’s hands, St. Vrain Valley School District has several avenues to help. And, each is easily accessible using district-provided devices. I’ve outlined the process for accessing the best two below along with a summary of what kind of books you can find there. Powered by Overdrive, the District Digital Library is a collection of tens of thousands of ebooks available to anyone within SVVSD with a district username and password. The collection includes ebooks, audiobooks, and videos. Collections are age-limited so that students at each school level have access only to content that is age-appropriate. They can access the library here. While Overdrive does have an app available through the most common app stores, the easiest way to access texts is through a device’s web browser. Once students begin reading a book, Overdrive marks their place and syncs across devices. Readers can also highlight and annotate within texts. Even when a book has been returned these highlights are still accessible through their library accounts. Similar to the Digital Library, MyOn allows students to access ebooks from a central digital collection. MyOn features fiction and non-fiction titles across multiple genres. Newer readers can activate a read aloud function that will read the book to them while highlighting each word in sync. Many SVVSD schools have reading challenges for their students through MyOn, asking them to meet a goal of minutes read. Teachers and school can also activate simple comprehension quizzes for each book, and readers can write reviews for other in-district users after completing a book. To access MyON, your child can click here and select “Students and Most Teachers” then enter their district user name and password. Even more access to books in the home can be achieved by becoming a patron of your local public library. All public libraries serving SVVSD families also use Overdrive as their ebook platforms. Families with public library cards can use district devices to access public library collections and books for the whole family. For guidance on reading with your children, take a look at the Language Arts Blog series on Family Community Literacy. Each post is dedicated to a single idea of how to make reading and writing fun and engaging in your home without requiring additional resources or an extensive time commitment. Just read. The research is clear, students who come from homes where reading is valued and modeled by adults become better readers themselves. Through SVVSD’s online text resources and digital devices, you’ve everything you need to make your home a place where reading is valued and easily accessible.